Year DC12. The parallel worlds of Earth and Mara are wastelands of corruption, ruled by the unforgiving conference. Seventeen-year-old Faye finds herself thrown into the heart of rebellion with one aim; destroy the conference at whatever cost. Time is ticking. The Runners are coming. But can she win out before she loses herself forever? This was an interesting science fiction thriller. I really enjoyed it. Faye (real name, Anna Link) is a great character. She is a normal teen, full of angst and sarcasm. I really liked her. She has a bit of a chip on her shoulder because of her mixed heritage. This is a bit understandable; it has it's advantages, but also some disadvantages. I started to read this book, and was struck by the unique way the author has written this story. I was quickly drawn into the story, and I found myself turning pages; the world building was wonderful. I read this book in one sitting. 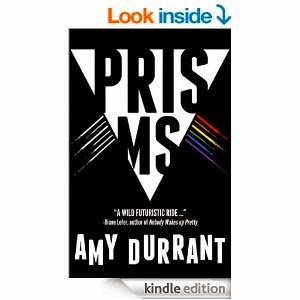 Prisms is a fantastic dystopian thriller, full of twists and turns. The description of how one travels between the parallel worlds of Earth and Mara was unique, and made me wary of standing under a street lamp; I now worry I would get pulled into that world if I did! The story is told through several characters' points of view. Each chapter is dedicated to a different character, which gives an interesting perspective on the tale. Dax is Faye's older brother. He works and lives in Mara, with his fiance, Kash. Lark Lyre is a soldier in the resistance against the conference (a tyrannical and corrupt government on Mara), until his capture and he is turned into a Runner (soldiers made to keep the citizens of both sides from travelling between the worlds). There are also other interesting characters that are introduced in this tale, and several surprises and twists that I didn't see coming. However, this story has a "Hunger Games" and "Divergent" feel to it. I wasn't quite sure who were the "bad" or the "good" guys at times. The only truly "bad" guy seemed to be Torre Fynn, the President of Mara. He is a total megalomaniac and despot. The ending was a bit shocking in it's abruptness, but it sort of made sense in a weird way. I must admit that I did feel a bit disappointed that it ended the way it did, though; I felt slightly cheated. However, this is only my opinion. I will leave it up to you to decide for yourselves. Amy Durrant has written a wonderful debut novel that was fast paced and exciting. Her writing style kept my attention, and the story flowed wonderfully. Her characters were so lifelike that I expected them to pop onto my street and walk through my door. I would definitely consider reading more books by this author in the future. 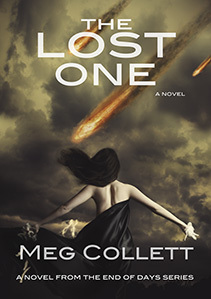 In the final installment to the popular End of Days series, Heaven still belongs to a mad tyrant, and Michaela is losing her battle to save the dying world. But the tides are turning. With Gabriel’s fallen army, Michaela can finally start a war with the holy angels, which means she has to take care of the Watchers once and for all. What Michaela doesn’t realize is that her best friend has his own vengeful plan for the Watchers. Even amidst a war, Michaela and Gabriel bask in a sliver of happiness. With every touch and kiss, Michaela discovers a new home in Gabriel’s arms. Yet happiness is ever fleeting, and Michaela learns of a vision that foretells of the greatest sacrifice she’ll ever make for Heaven. But what is sacrifice in the face of tyranny and madness? It’s a lesson Michaela may not live long enough to fully understand. 16 year old Eden Matthews has been in and out of private schools for the last two years. She can't seem to stop herself from closing them down. Kingsley is her last chance to finish high school and the last private school willing to accept her. She is focused on just getting through graduation until she realizes Kingsley is not like the other private schools she's been to. The students may be different, but so is she. And after meeting Kiran Kendrick, the boy who won't leave her alone and seems to be the source of all her problems, she is suddenly in a world that feels more make-believe than reality. To top it off, she is being hunted by men who want to kill Kiran and her best friend Lilly is taken away to a foreign prison. Eden finds herself right in the middle of an ancient war, threatening everything she loves. She alone has to find a way to save her best friend and the boy who has captivated her heart. This is the first book in The Star-Crossed Series. This is another book, I am ashamed to say, that I downloaded over two years ago when it was free, and I am kicking myself for not reading sooner. I loved it! Eden Matthews is only sixteen years old, but she has had more trouble in her life than most teens at that age. She is a typical teen, who thinks she is always right, and tends to be very reckless (in my opinion). I really liked her, but due to her reckless behaviour, I also wanted to shake her at times. I started to read this book and was hooked from the first page. I have read a few YA books with a similar girl meets boy, instant attraction and forbidden love theme. However, this story is quite different in many ways. It has a unique plot line, with twists and turns that completely surprised me. 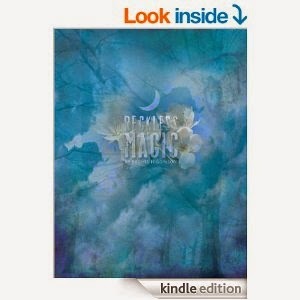 The story is full of danger, magic, adventure and romance. This story is told from various character's points of view, but mostly through Eden's eyes. The characters in this story are very interesting. Kiran Kendrick is actually a prince. I liked him, but due to his upbringing, I found him to be a bit of an arrogant jerk at times. However, whenever Eden and Kiran are in the same room, their attraction is magical. I don't mean that in a dreamy way (although there is some of that), but because there is magic involved. They are like magnets that cannot stop snapping together whenever they meet. This creates some interesting situations. Lilly is Eden's first new friend at Kingsley, and has secrets of her own. I really liked her. She is a lovely character and a great friend. Avalon is also a fantastic character. I guessed who he was in relation to Eden, but his upbringing was completely different to his twin, and this, I felt, gave him an advantage that was denied to her that was slightly unfair. However, there is a reason why this happened, but I felt that if Eden had not been as sheltered, she wouldn't have been so reckless in her actions. Nevertheless, the story took me on an amazing journey from beginning to end. Although this story doesn't finish on a cliffhanger, I am looking forward to continuing the rest of the series as soon as possible. I have a lot of catching up to do, since there are 6.5 books in this series - I had better get cracking! Rachel Higginson has written a fantastic YA romance. Her characters are very lifelike and likable. I loved her fast paced writing style, and the flow was wonderful. I have never read any of this author's books before, but I will certainly be adding her to my favourite authors list, and reading more of her books as soon as I can. When sixteen year old Arella Cline's summer vacation begins with the tragic death of her parents, she is sent to live with her aunt to begin a new life on a remote island off the western coast of Ireland. But there are strange things happening on Tory Island—shadow figures, mysterious auras, and the haunting sound of her deceased parents’ voices. The only thing Arella finds appealing about Tory is the handsome, dark-haired Declan McQuilan. But Cannon Fidelous, a mysterious outcast, warns her that the island and its inhabitants are hiding a dark secret. And when Arella finds an ancient book of prophecies, she discovers the island's curse—a curse that only she can undo. This is a fantastic YA Fantasy Thriller. I am very sorry it's taken me so long to get to read it, as I loved it! Arella Cline is a wonderful character. I liked her a lot. She is an emotionally strong character and is stubborn and determined. 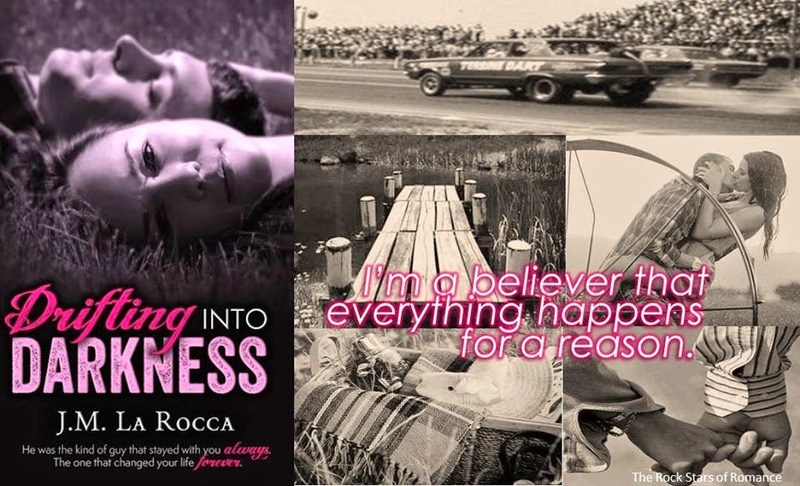 She has had her life completely destroyed by a terrible car accident that killed her parents. 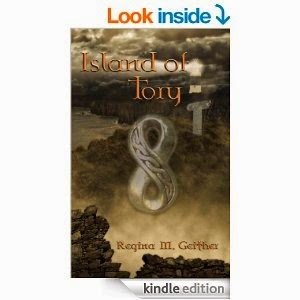 Sent to live with her aunt on the small island of Tory, Arella finds herself in a race to break a curse. I started to read this story and was hooked from the first page. Arella is a normal teen, but dealing with a traumatic experience. Being the "new kid" is scary enough, but Tory is an island with secrets. There are some interesting characters living on the island. Declan McQuilan is Arella's first friend on the island. He is charming, funny and has a charisma that people respond to, but he also has a secret. I liked him very much, but as the story progressed, I found I didn't like him as much as I did in the beginning. I am not saying why, you will just have to read the book yourself to find out. Cannon Fidelous is also new to the island, but he is a loner and tends to keep to himself. He is a bit of an enigma, but I really liked this character too. The story was quite gripping, with a steady building suspense that held me in thrall. I found myself getting anxious as the story twisted and turned with mystery; Just when I thought I had a grip on the story, it would take a gigantic twist in another direction. This story was a roller coaster ride of danger, action and adventure. All the characters came alive on the page, and the description of the island was so vivid, I could picture it with ease. The Irish folklore used in this tale was very interesting. I have always been interested in the myths and legends of various cultures, and none more so than those of the Irish or Celtic ones. I was very disappointed when I reached the end of the story, as I wanted to keep reading. However, I loved the ending, as it was sweet and, although it doesn't finish on a cliffhanger, it made me look forward to reading the next book, The Cursing Stone, as soon as possible. Regina M. Geither has written an absorbing and thrilling YA Fantasy. I love her fast paced writing style, and the flow of the story was wonderful. I would definitely read more of this author's books in the future. This is the first book in the Warriors of Ankh series. I downloaded this book, I am ashamed to say, nearly two and a half years ago when it was free, but never found time to read it until now. I am seriously kicking myself for not reading it sooner, because I LOVED it! Eden Winslow is not a normal teen. She is a soul eater, or soon to be, once she goes through her Awakening ceremony. I liked this character a lot. She has a lot to deal with. She is scared, but determined to resist impulse to take a soul. However, it's not easy when your only friend is a temptation. Noah Valois is a fantastic character and is also not your average teen. He is a little enigmatic at times, but I suppose being a Warrior of Ankh, a little mystery comes with the territory. Being friends with Eden is a complication he never expected, but can he save her before she makes a terrible mistake? 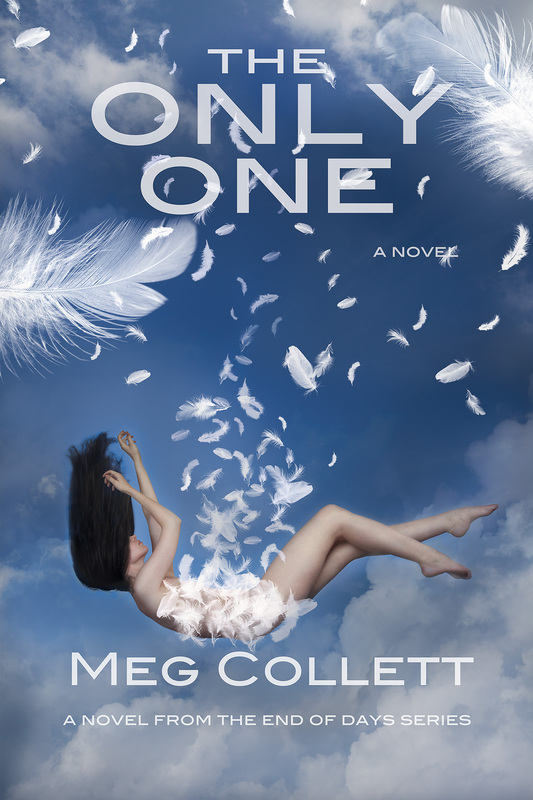 This is a fantastic YA paranormal romance. The story is basically good versus evil, but with a twist. The Warriors of Ankh are a group of immortals that protect mankind from the "Blessed" - soul eaters to you and me. However, there is a complication in the form of a rebel faction of Neith (human warriors that fight along side with the Ankh) wanting to kill Eden because of who she is. The story is told through both Eden's and Noah's point of view. Once I started to read this book, I struggled to put it down! This book is an amazing roller coaster ride of excitement, danger and romance. There are some really interesting characters in this story. Stellan is Eden's brother, and her rock in an emotional sea. I liked him very much, even though he too is a soul eater. Teagan, Eden's cousin, on the other hand, is a loathsome character, with very little in the way of redeeming features. He, along with Eden's parents, are characters that made me angry. I very rarely get angry, but their behaviour towards Eden really raised my ire. If these were real people, I would probably be sent to jail for their murder - that's how angry I became. The story was full of twists and turns, some of them shocking, and some violence. The scenes were well written, and I could picture them quite clearly in my mind's eye. It was interesting to see how Eden's character grew through the story. I liked her in the beginning, but by the end of the story, I was in awe of her strength of character and bravery. I was disappointed when I reached the end of the book, as I wanted to keep reading. I will have to download the next book in the series, Blood Past, and try not to take so long to get to read it! 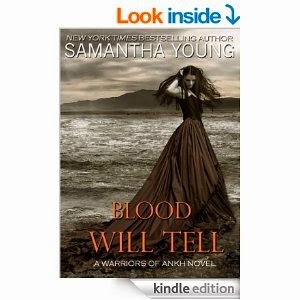 Samantha Young has written a wonderful story, with characters that come alive on the page. I love her fast paced writing style, and the story flowed wonderfully. This is the first book I have read by this author, but it certainly won't be the last. FREE Children's Book - The Warble by Victoria Simcox - from 23rd to 26th June! Dwarfs, gnomes, fairies, talking animals, and an evil queen – all these and more can be found in The Warble, an enchanting tale of adventure and friendship. This is a fantastic children's book for middle grade age range. I loved it! Kristina Kingsley is a fantastic character. She may not be the most popular girl in school, but I actually liked her. She reminded me of me! I was never the popular girl either. However, where we differ is that she is a lot braver than me! She is given an unusual gift, and she finds herself on an adventure of a lifetime! This is a fantastic children's fantasy novel! There are some wonderful characters in this book. The most likable of them are Clover and Looper (a pair of sibling fairies), Prince Werrien, and Kristina's pet rat, Raymond. This book is also filled with some really nasty characters. The main ones being Queen Sentiz and her gross Zelbocks. There are also enemies that turn into friends and friends who turn into enemies. I was completely engrossed in this tale! It is full of danger and adventure! In a way, it reminded me of Tolken's Lord Of The Rings, as there is an object (the Warble) and a dangerous mission to deliver it to it's rightful place. I loved the subtle humour that the author used to great effect; it lightened the mood, so that the story didn't take a too dark a turn. The story is also told from several character's points of view, which gives a well rounded feel to the book and brought the characters alive. There are also some pictures sketched on a few selected pages to reinforce the story. These pictures are well drawn and show the characters just as described, and how I imagined them without the pictures! Victoria Simcox has written an amazing children's adventure book! Her writing style is fast paced, but not overly so as to feel rushed. Her attention to detail with regards to the description of the characters, scenery and clothing is exceptional. I could "see" them so clearly in my minds eye! I am now looking forward to reading the sequel, The Shard! Twelve-year-old Kristina Kingsly feels like the most unpopular girl in her school. The kids all tease her, and she never seems to fit in. But when Kristina receives an unusual Christmas gift, she suddenly finds herself transported to the land of Bernovem, home of dwarfs, gnomes, fairies, talking animals, and the evil Queen Sentiz. In Bernovem, Kristina not only fits in, she’s honored as “the chosen one” the only one who can release the land from Queen Sentiz’s control. But it’s not as simple as it seems. To save Bernovem, she must place the gift she was given, the famous “Warble” in its final resting place. And she must travel through the deep forest, climb a treacherous mountain, and risk capture by the queen’s “zelbocks” before she reaches her destination. Guided by her new fairy friends, Clover and Looper and by Prince Werrien, a teenage boy, as well as an assortment of other characters, Kristina sets off on a perilous journey that not only tests her strength but her heart. Victoria was born in Scarborough, Ontario, Canada, to an Austrian immigrant mother, and a Dutch immigrant father. She now resides in Western Washington with her husband and 3 children. Her other family members are, a Chihuahua, named Pipsy and 2 cats, named Frodo and Fritz. For the past 12 years, she has home-schooled her children. Besides being an author, Victoria is also an elementary school art teacher. 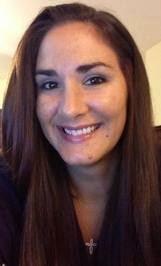 Victoria enjoys writing, reading, painting watercolors, hiking, good movies, and hanging out with her family and friends. 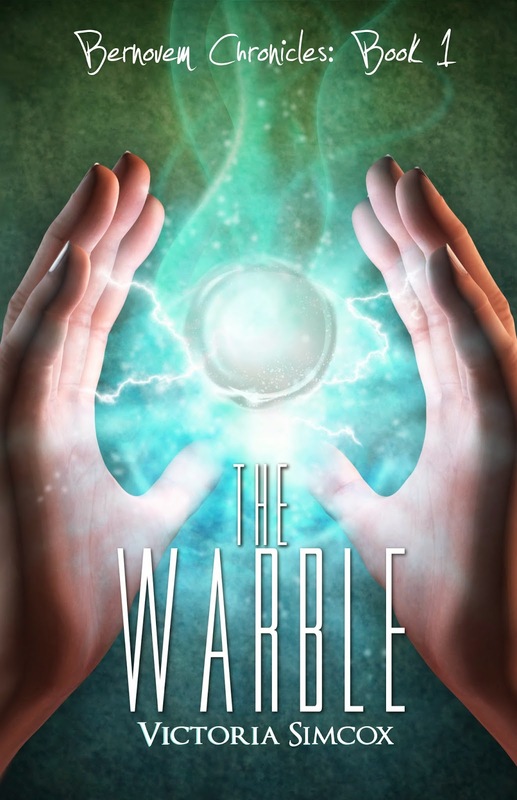 Victoria is the author of The Warble. 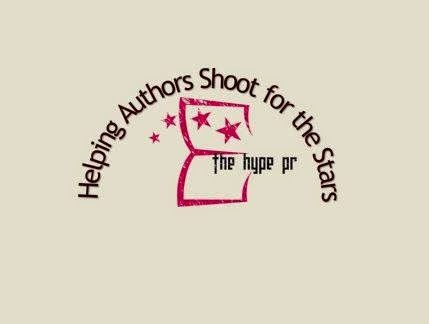 Welcome to the book blitz for Chaperoning Paris. Feel free to spread the word about this new novel by 'stealing' the Facebook Banner or 'sharing' this post to your Facebook, Twitter, Google +, or any other platforms. 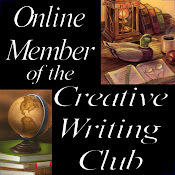 If you would like to 'host this post' on your own site to spread the word, an HTML of this post can be found HERE. [If you post this HTML to your blog during the time the blitz runs, be sure to claim an entry for the promotion by filling out this form. If you use the HTML after the 28th, be sure to delete the rafflecopter section, as the giveaway will be expired by then. You are still eligible to enter the host giveaway by posting the edited HTML (no rafflecopter) on your site between now and the end of the host giveaway on July 1st, however. I hope you enjoy reading about Chaperoning Paris and be sure to enter the tour- wide Rafflecopter giveaway for an Amazon Gift Card at the end of this post. Gigi Dumont never forgot how she walked away from the only man she ever love. Meet Kiera, a pretty, intelligent, and talented girl, brought up by her uncle, and abandoned by her parents. Life is as normal as she believes it to be, apart from the deep ache inside her, telling her she’s different. 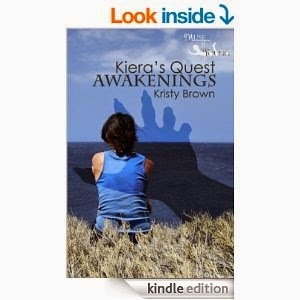 For years, Kiera had dreams where she ventures into a different reality. She’s not alone; a presence is always there, keeping her safe, yet she feels vulnerable, and hunted. This is the first book in a YA series for children aged 9 to 16. I really enjoyed it! Kiera Matthews is a wonderful character. She is a typical young teen with hopes and dreams. I liked her very much. She is kind, caring and sensible. However, her life is about to get very complicated, when she "meets" Zakk. Zakk is the Prince of Zantar. He is an interesting character. I liked him very much. He is a thoughtful young boy, trapped under a spell by the Witch Queen, and needs Kiera's help to break the spell before his sixteenth birthday. I started to read this book, and I was struck by the uniqueness of it. I was quickly pulled into the story, which was a roller coaster ride from beginning to end. I am not sure the reader is supposed to like the Witch Queen, but I was quite taken with her evilness and her snide remarks; She made the book quite interesting. The Witch Queen is what I would call deliciously evil, and is one of those characters you love to hate. Kiera's friends are all interesting. They are Maddy, Joe and Daz. Their characters are not as well developed as I would have liked, but I liked them all. There are several twists and turns to keep the reader enthralled, with plenty of danger, mystery and adventure, not to mention a shocking betrayal that I did not see coming. I loved the scene where Kiera and Zakk first communicate. It had me grinning, as I could imagine it quite clearly. In fact, most of the scenes were well described and I could picture them with ease. 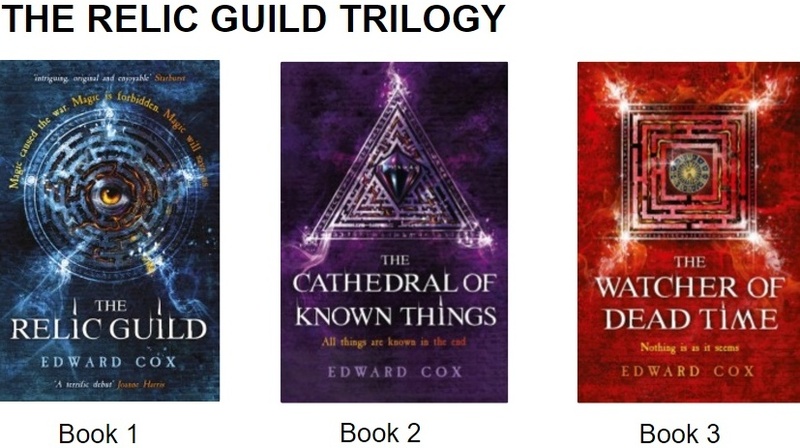 The story ends on a slight cliffhanger and, although I am not in the intended age range for this series, I am looking forward to reading the next book as soon as possible. 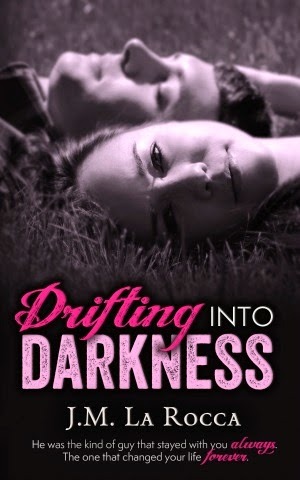 Kristy Brown has written a fast paced YA story that was entertaining and exciting. I loved her writing style, and the flow was wonderful. I’m a firm believer that everything happens for a reason, that there was a path we were all supposed to be on and the choices we made led us to those paths. My path led me to work on the Johnson farm in Texas, where I met Landon, the owner’s son. He worked there during the day and raced cars for fun at night. He was a bad boy with a reputation that exceeded my own. The guy all the girls wanted to change, the one that hooked up with random girls because he didn’t do relationships. He was exactly the kind of guy I wanted to stay away from, but there was something about him. It wasn’t just his looks, although they didn’t go unnoticed. There were layers I wanted to peel back and reveal. I wanted to know the real Landon Johnson. All the choices I made led me to him and he would change my life forever. With the option of small-town living, a white picket fence, and a Dom husband long since off the table, Laren has one goal in mind: To marry her career so she can pay off her sister’s debt. She’s one deal away from landing a corner office in The Big Apple that will help her reach that goal when Michael Kavanaugh storms into her life. Although she’s tempted, she’s been sidetracked by a man before, and vowed never again. After years of earning the hard-won nickname “The Reputable Dom”, Michael is ready to throw it all away. He’ll become the opposite of everything that name suggests for a shot at owning the strong-willed business woman who clings to her secrets with an iron-fist. He’s determined to do whatever it takes to unearth her mysteries and make her change her mind about him, even if it means he has to ditch his stellar reputation in order to claim her…by very disreputable means. Accidents are happening suspiciously frequently. It is not simply bad luck - someone is trying to kill Alice and Thomas. For their own safety they decide to get away and set off for Berlin. But staying with Aunt Brigitte is not without its dangers. When chaos follows the Parkers to Germany friends, family and even famous landmarks are at risk. Alice begins to think she is cursed - and that's before an alarming discovery about her future. Will a new admirer change her luck or must she learn to accept her fate? For Alice nothing is ever simple. This is the fifth book in the Alice Parker's Adventures for children. I loved it! Alice Parker is a fantastic character! She is a very special girl. She is a Finwip (a descendant of fairies), and the only known Finwip able to fly. I loved this girl when I first met her in the first book, Alice Parker's Metamorphosis. Alice has grown in confidence and ability, but when danger again threatens the safety of her family, can she find the culprit without being killed herself? I started to read this story, and was quickly pulled back into the fantastic world of the Finwips. I read this book in one sitting, as I couldn't put it down! Alice and Thomas, as well as the rest of the Parker family, have had a few near misses, thanks to some mysterious "accidents". So, to be safe, the family travels to Germany. This story was just as exciting as the previous four, and the suspense and mystery of not knowing who was after them was killing me! It certainly kept me guessing! There are some new characters to meet, and some old faces pop up, which keeps the story interesting. One of the new characters is a boy called Ralph, who is around the same age as Alice (who is now 15). His family calls him Katalysator (or Kat for short), due to his ability to enhance other Finwips abilities - sort of like an amplifier. He also has several other abilities similar to Alice, which gives them something in common. The story has several twists and turns which often surprised me, and Hugh makes a surprise appearance with a shocking announcement. The story does not end on a cliffhanger, but it left me feeling happy. Although I don't know if there may be another book in the series, I hope there will be. This is a fast paced, action packed adventure that will keep children from the ages of 9-13 completely engrossed! 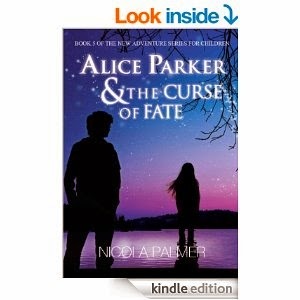 Nicola Palmer has written an amazing children's series that is enchanting, exciting and all round good fun! 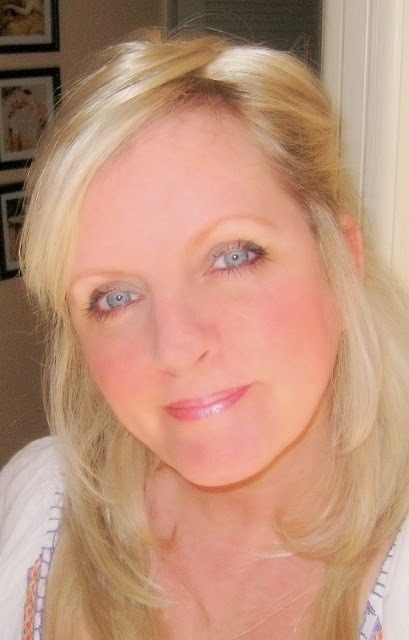 Her writing style is fast paced, but easy enough for youngsters to read and follow. She is one of my favourite children's book authors! When tragedy rips through the very core of your soul, how do you find the strength to pick up the pieces? At twenty three, Lennox’s life was on track. She had just graduated from college, and was about to take a teaching job at Wareham High School until a phone call changed everything. Two years have now passed, and Lennox knows she needs to move forward, but the only way to do that is to go back to where it all began. At twenty five, Connor Jackson has lived a pretty good life. Growing up with wealthy parents has allowed him never to worry about money, until recently. After being thrown in jail for disorderly conduct, his parents decide to teach him a lesson by freezing his trust fund. With nothing but a couple of hundred dollars in his pocket, Connor sets out on his own hoping to start new. In a small town like Little Harbor, finding closure to your past, just might lead you to someone who will become your future. This is a fantastic, sweet contemporary romance. I loved it! Lennox Shay is a wonderful character. I liked her a lot. She has a tendency to be sarcastic at times, and she has a hot temper when riled, but she is also grieving. She has come home to Little Harbor to face a difficult task and bring closure to her life. She wasn't expecting to meet anyone, especially someone like Connor Jackson. Connor Jackson is also a wonderful character. I liked him a lot too. He is working as an electrician, since his parents cut off his trust fund. He is quite down to earth and charming when he wants to be. I downloaded this when it was released, but due to the length of my reading list, I have only just managed to get to it now. I am kicking myself for not getting to read this sooner. This is a wonderful contemporary romance. The story is told through Lennox's point of view, and was a pleasure to read. The story is an emotional journey from beginning to end, and I read it in one sitting as I couldn't put it down. I must admit that I shed more than one tear whilst reading this book, as there are certain events that touched me deeply. There are also some memorable characters in this book whom I enjoyed meeting. Mallory is Lennox's best friend, who has stood by her through thick and thin. But after Lennox left Little Harbor two years previously, they had lost touch. Mr. Robertson is Lennox's elderly next door neighbour. He is a sweet and charming man, who is a little lonely, but also very wise. I loved how Lennox and Connor first met, it was certainly dramatic. They definitely have chemistry between them. It was wonderful to see their relationship bloom. The ending was nicely rounded off, as a romance novel should be, and left me with a happy feeling. 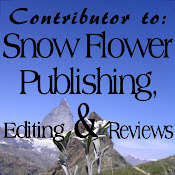 Crystal Cattabrigga has written a wonderful contemporary romance. Her characters are lifelike and likable. I love her writing style, which was fast paced, and the flow was wonderful. I'm looking forward to reading more of her books in the future.